Manufacture and sale of Porcelain Insulators up to 1200kV in Electrical High Voltage Transmission, Substation and Distribution applications. Turnkey Projects Division for Erection, Installation and Commissioning of Electrical High Voltage Lines and Substations and Line Quality Solutions. 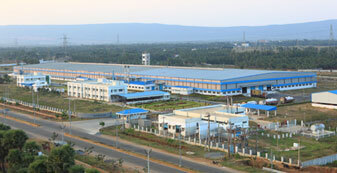 WSI increased its capacity by commissioning a state-of-the-art production facility at Visakhapatnam, in July 2009 dedicated mainly to exports. The combined total capacity of both the Units at present is 28000 CMT per annum. Today, WSI is able to offer a total basket of product offerings with various profiles. Its products are in service in around 45 countries across the globe. WSI has won numerous national awards over the years including best exporter and excellence in cost management practices. Customers include leading Utilities, all global OEM’s as well as leading EPC companies. WSI undertakes complete design, supply, installation, testing and commissioning of Sub-stations, Transmission Lines and Network Quality Regulation Projects up to 220 kV. The company is participating in Rural Electrification Projects under the Indian Government’s “Power for All” scheme. With over four decades of active contribution in T&D, WSI has competence in the areas of design,	manufacture, supply, installation and support of virtually all individual components in the Transmission and Regulation of Electricity. Successfully completed the turnkey contract for substations in Gujarat, Karnataka, Andhra Pradesh, Haryana, Uttar Pradesh and Uttaranchal. Currently executing a large rural electrification project in the state of Orissa. 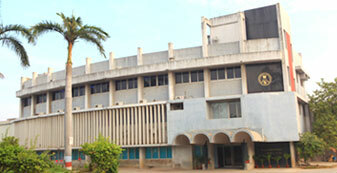 R&D facilities are recognised by Ministry of Science And Technology, Government of India. WSI was the first to receive the ISO 9001 in India. QMS complying with ISO 9001:2008 requirements. EMS complying with AS/NZS ISO 14001:2004 requirements. Health and Safety systems complying with OHSAS 18001:2007 requirements. WSI's In-house R&D unit is recognized by the Ministry of Science and Technology, Government of India. WSI has been a recipient of Annual Special Export Award of CAPEXIL (Sponsored by Ministry of Commerce & Industry, Government of India), for several years. WSI has been honored with National Award for Excellence in Cost Management Practices in the category of Private Sector Manufacturing Organizations for two successive years 2007-08 and 2008-09.